As I write this, I’m waiting for my AC 91 flight at GRU, and have a few minutes to share my Hughes-esque anecdotal observations on the rise of Brazil. I’m going to by-pass the numbers and econometrics that papers widely report. You can check out those facts and figures in the Economist magazine “Brazil takes off”, American Chamber of Commerce Sao Paulo, or government publications. You’ll get numbers on the growing employment rate, the rise of the middle class, the surge in commodity exports, increases in tax revenues, government surpluses, and falling crime rates. Here, however, I will share 3 observations that weave a telling story. Brazil is perhaps the hottest country brand in the world. We all know that it won the bids to host the world’s largest sporting events: FIFA World Cup (2012) and Summer Olympics (2014). It has also been widely reported that this is the first time that a South American country will be hosting the Olympics. That’s a big deal. Brazil is getting a world stage with an intense spotlight. 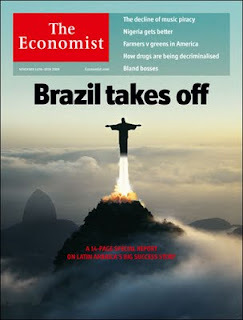 Even before this happened, however, Brazil’s image in the media had been changing. 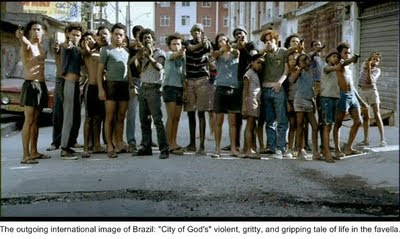 Somewhere around 2009, Hollywood got enamored with Brazil. For example, 3 blockbuster movies in the last year have emphasized Brazil in their story-lines and have done so in a much more glamorized way (Rio, Fast and the Furious V, and the soon-to-be-released Harry Potter sequel). Of course, the motion pictures only are the starting point of the positive exposure for the country. The video games like THQ’s hit videogame Rio and Angry Birds Rio- and mega-media coverage from the Entertainment-Tonight’s of the world further cultivate the desirable brand image of the country. But, there is still more “love” coming from the entertainment world for Brazil. What do you get when Shakira, Rihanna, Coldplay, Jay-Z, Elton John, Kay Perry, Lenny Kravitz, Metallica, Red Hot Chili Peppers and about a dozen other headliner bands get together to play a 6 day concert extravaganza? A festival called Rock in Rio. More massive exposure to country which is already red hot. Let’s go back just a couple of years to 2009. (eg. Obama had just taken oath of office) If I was in 2009 and posting a blog about films set in Brazil, I would be writing about the Hulk (2008) which highlighted a Brazilian slum, Tourista (2006), which depicted brutal violence against tourists, City of God (2002), which told a gritty account of poverty, corruption and crime, and the Simpsons, which had Homer kidnapped by violent Brazilians and featured corrupt police (see 5:30 minutes). These are not exactly the messages coming out of the media these days. What a difference 3 years makes. Don't get me wrong, Brazil still has a tremendous drug, crime, and violence problem - but its international image has changed a lot faster than the change Obama followers dreamed about having for the USA post Bush. SHOPPING IT AND STOPPING IT. Every been to Times Square on New Years eve- or Mardi Gras on Bourbon Street? Packed streets, right? Well, put those crowds carrying shopping bags and you will get a sense for how crowded some of the Brazilian malls have become. These consumers are not just buying clothes and food. They are purchasing consumer durables like microwave ovens, refrigerators and couches. As tens of millions of impoverished “D-class” Brazilians begin their climb into a “C middle class”, there is pent up demand for consumer durables. One stat about Sao Paulo (a city with approximately 20 million people), says that 1,000 new cars hit the street every week. The upwardly mobile society is spawning production, new jobs, and a lot of wealth creation. 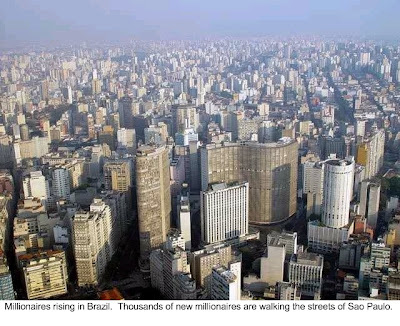 A prominent Brazilian business magazine ran some analysis and announced in their cover story that there is a new millionaire created every hour in Brazil. This is likely a very conservative statistic. Headlines like this have a psychological effect on society: “If I play by the rules, I can win”. In other words, some of the entrepreneurs working in the “grey market” are shifting to honest lines of work. I had an interesting conversation with a former drug dealer and arms runner from a favella. He had gone back to school and had started up his own business. He said, “Dealing was always a sure way make money but now I have opportunity to do it honestly. I feel better about myself.” Leo told me that he not the only one who stopped. For folks like Leo, it seems that the fear of bullets is not nearly as good a motivator as the promise of opportunity from legitimate work. 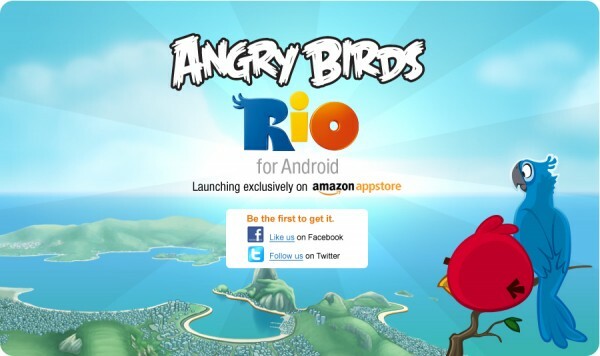 At the macro level, what is going on is this: more, better advertising means stronger Brazilian brands. Stronger brands generally mean more stable sales. Stable sales means more, less-risky investment. This translates into jobs, growth and more societal stability. This is exactly the state where Brazil is at now.